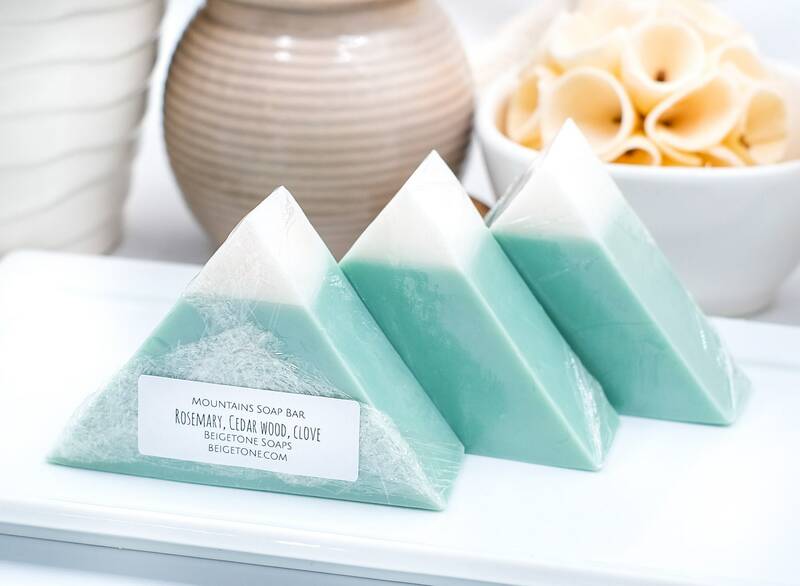 You will love our MOUNTAIN BAR TRIO. Works of art, 2oz ea. 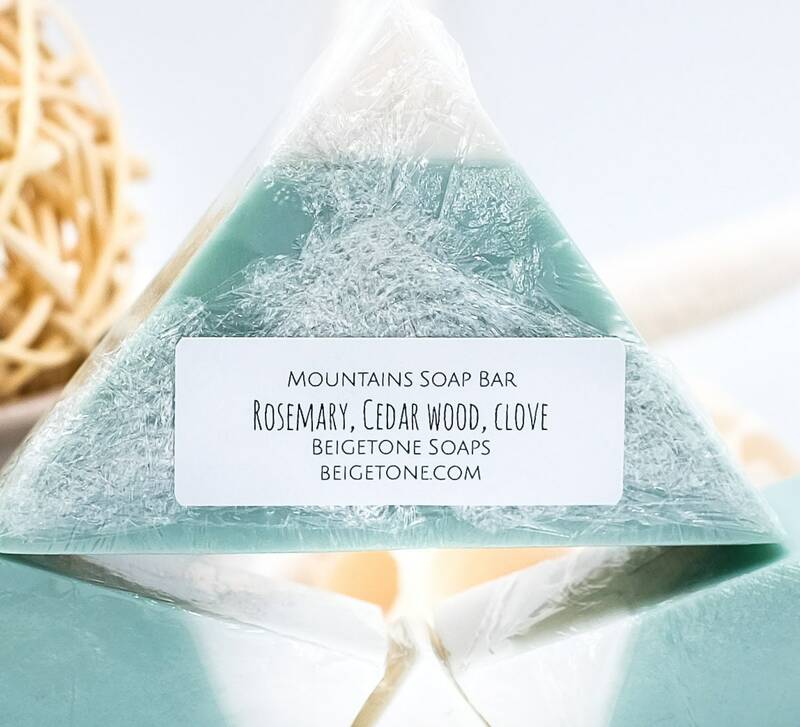 infused with a woodsy blend of cedarwood, rosemary and clove. 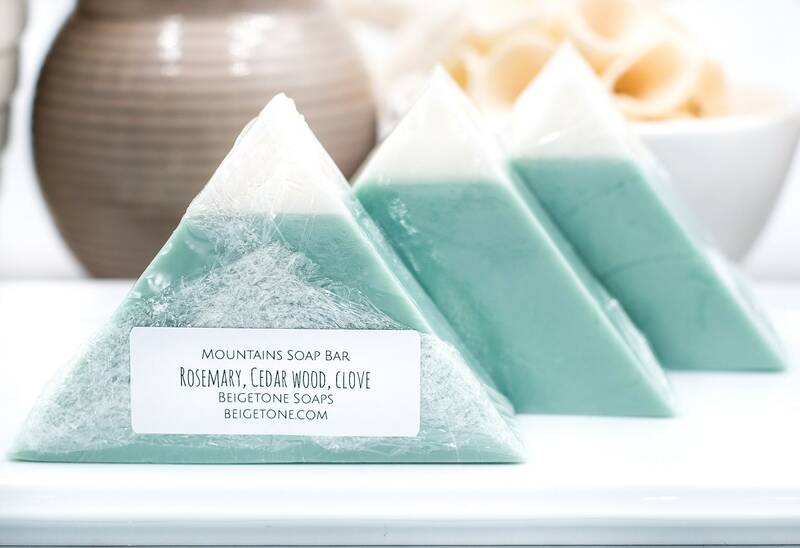 Includes THREE 2oz mountain bars.